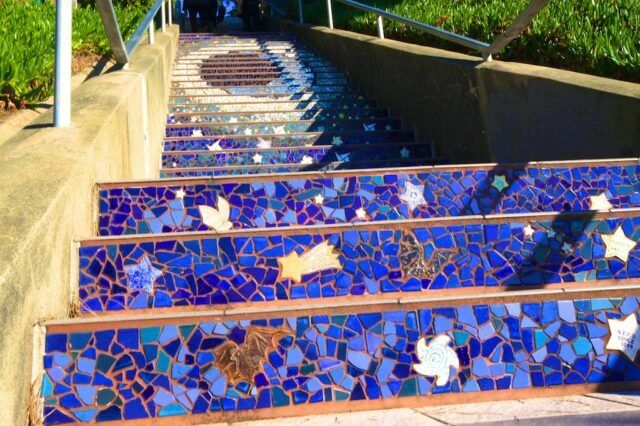 The 16th Avenue Tiled Steps Project, located in the Southern end of San Francisco, about 15 minutes from Golden Gate Park is a neighborhood wide project where people got together and donated to change 163 steps into a work of art. 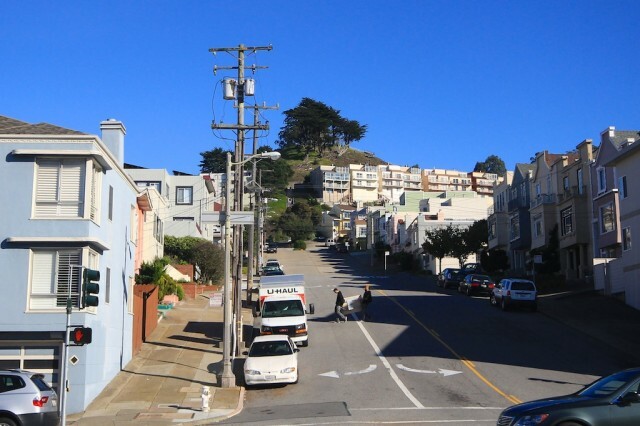 When I visited San Francisco this was high on my list to experience and you can see why in the photos, as the area draws a crowd all day long and is a good picture of the artistic community that San Francisco creates. 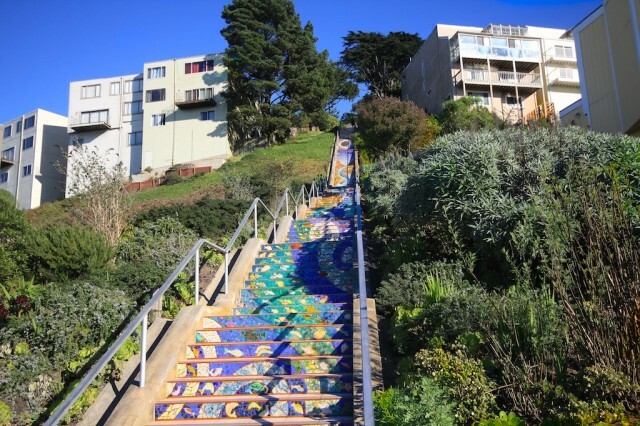 Inspired by the famous stairs in Rio De Janero, these steps were meticulously created over a summer to build a beautiful walkway for the whole city to enjoy. 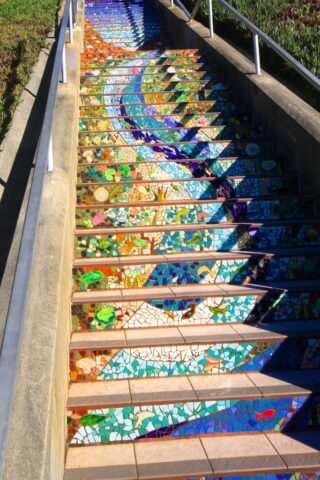 According to the website over 220 neighbors sponsored handmade animal, bird and fish name tiles embedded within the mosaic and over 300 people helped to put them in. 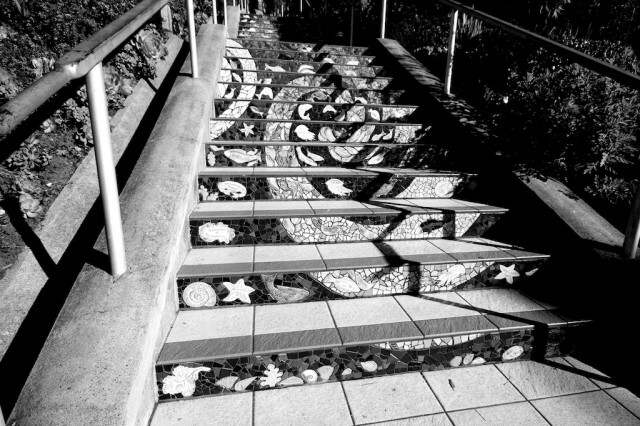 I thought it was interesting to take a photo and turn it black and white, even though it takes away the beautiful color, it does pull out the design a little more. 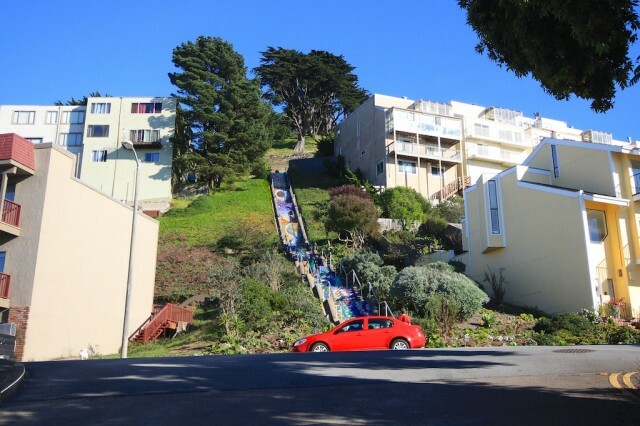 Once you reach the top of the steps you will be pretty far above where you got off the bus. I would highly suggest continuing the climb up to Grand View Park as the view is massive, but even if you don’t this is a pretty good view as well. That white part in the distance is the ocean, the brightness just over exposed my camera. 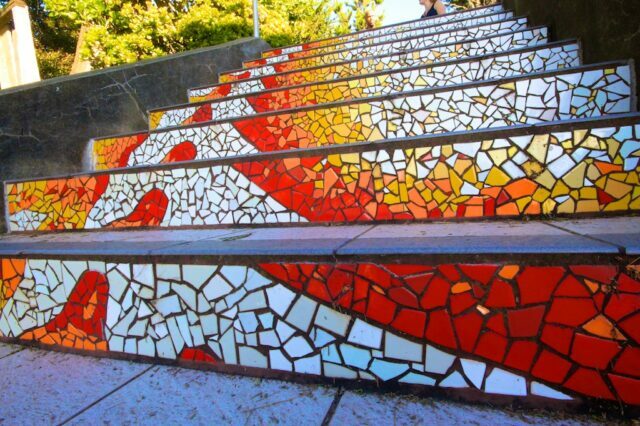 Like the wave organ, I really enjoyed checking out the beautiful and unique Mosaic Steps. I really cannot recommend more a trip to see them if you are into artistic endeavors like this. 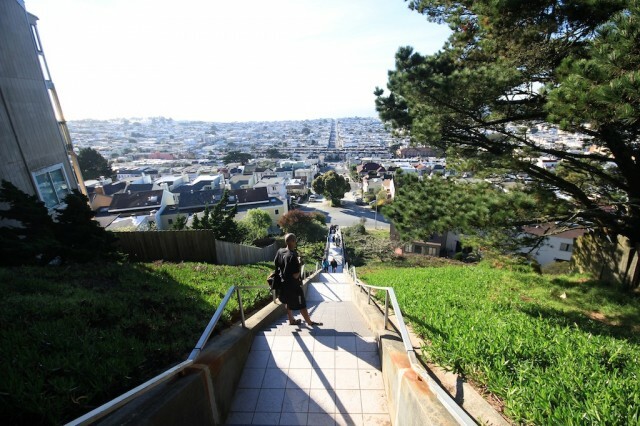 Make sure you walk to the top of the Grand View Park as well (the view is Grand! haha), but I will write about that in another post. Get directions below and leave a comment if you feel so inclined.